In 2002 the Chojnice hospice association was given the pulmonary ward of the old hospital. Since then, the team has carried out extensive renovations to create a home and beautiful grounds for 20 patients – some requiring palliative others long term care. Upstairs the team provides day time activities including music, art and physiotherapy. In addition, a home care team looks after around 50 people in their own homes. 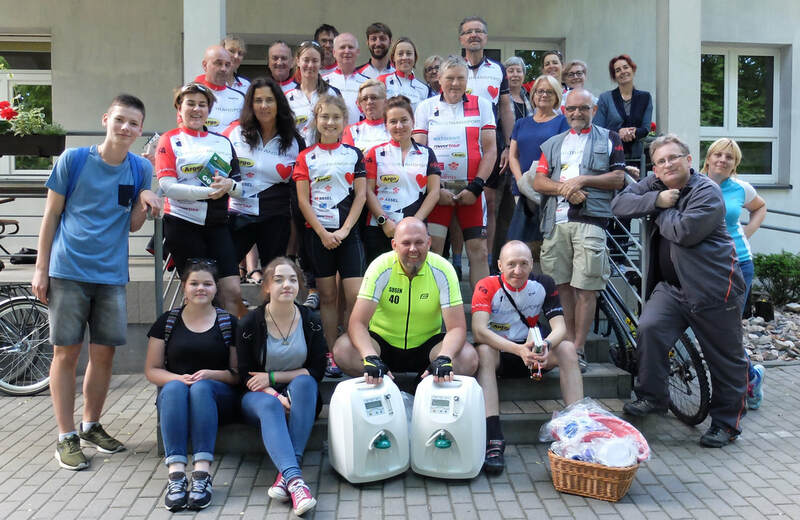 In 2017 the Alina Foundation visited the hospice as part of our Cycle Poland bike ride, and donated two new oxygen concentrators. Read more on the webpages of the hospice and its supporting foundation.